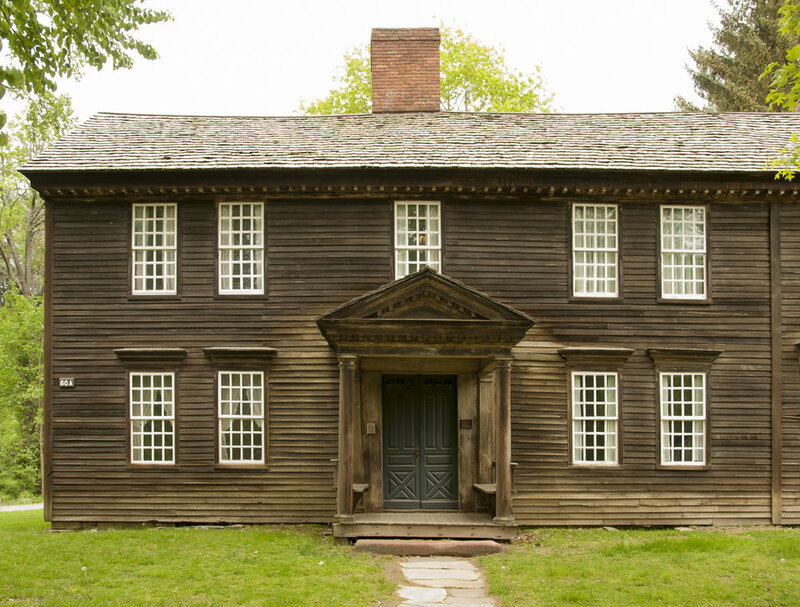 Built circa 1750, the Frary House depicts the Colonial Revival home of Miss C. Alice Baker, as restored in the 1890s with New England antiques, Arts and Crafts needlework, ironware and basketry. Baker was a teacher, collector, and antiquarian researcher, who restored the Frary House in 1892. Today Miss Baker’s home interprets the village’s active Arts and Crafts movement, her antiquarian pursuits, and her role in fostering the Colonial Revival in Deerfield. Education, tourism, and the sale of arts and crafts served as an economic bridge to 20th-century Deerfield. Visitors came by rail, and later by trolley and automobile, to tour Memorial Hall Museum, shop for arts and crafts in the homes and studios of their makers, and enjoy the romance of a frontier village that had aged so gracefully. Tourists generated employment for members of the Deerfield Society of Blue and White Needlework, craftsmen in the Society of Deerfield Industries, and in the hotels, boarding houses, and tearooms that accommodated visitors searching for a tranquil past in an increasingly industrialized nation. Guided tours are available during the regular season on the hour from 10:00am to 4:00pm. The first floor is wheelchair accessible. Please check at the Hall Tavern Visitor Center desk for more information about tour times.